Welcome, Pisces, to your audio astrology reading by Eric Francis. The report, which is also valid for Pisces rising and Moon, includes two segments of astrology and a third segment of tarot, using the Voyager Tarot by James Wanless. Thank you for your purchase. 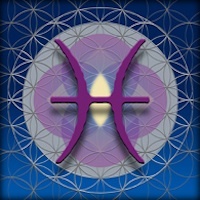 Please let us know what you think of the Pisces reading, if you have a moment, by writing to cs@planetwaves.net. Using an Apple mobile device? Play part 3 here. Using an Apple mobile device? Play part 4 here. Using an Apple mobile device? Play this music track here. Chart of the total solar eclipse, courtesy of Solar Fire. Click on the image for a larger version. Every sign has its distinctions. For Pisces one of those distinctions is the way in which you actually have a relationship to all of creation, all potential, and the hopes, dreams and nightmares of the entire human race. There can be no denying that Neptune is profoundly influential toward, and related to, Pisces. Pisces has an unusual connection to the larger cosmic picture, which is a reminder of how small the world is after all is said and done. Pisces is the sign that is composed of cosmic chaos; and from chaos imagination may spring. The hidden realm is vitally important to Pisces: in a sense it is your home. Of all the signs, yours has the deepest connection to the parallel dimension, and the work you do there is truly potent in its ability to create psychic templates that you can then build on in the ways more often thought of as ‘reality’. We often wonder how it is that people believe that thoughts can manifest as reality. Yet little else actually does. Think of it this way. My grandfather Jim, who was a draftsman, used to remind me that everything you see has a drawing to go with it. Without a drawing, very little comes into being: be it a paper cup, a hat, a disk drive, or a chocolate bar. Your 12th solar house is the place where you do your engineering, appropriately enough, in the sign Aquarius. Aquarius and Pisces is a visionary combination. Aquarius is for you the 12th house, the personal Omega point of your life and the spawning ground for the life that you will lead in the future. Contrary to the notion of Pisces as the lush, lazy slacker, astrology suggests that you radiate vitality: in particular, through your work and your drive for achievement. You have it in you to identify with your professional activities, and to shine in your chosen field. Your ability to get a job done is one of your most valuable assets; and you find your greatest stability in being productive and respected. I know this sounds like most descriptions of Virgo or Capricorn. Anyone who has had a Pisces boyfriend or girlfriend is potentially thinking, Gee, that sounds great. Too bad it’s not true. My Pisces significant other/friend/cousin would be so much happier if that were really so; and I wouldn’t have to do the dishes all the time. This has to do partly with how you manage your energy; and partly with how you define your purpose: both of which come back to your sense of value — mostly about yourself. Where one’s Sun is placed tells us a lot about where we must express our creativity and be respected; where Leo is offers another picture of the same quality. You simply must exist in an environment where you are respected for your work. Leo is your 6th solar house, and this presents an extremely interesting and characteristically Piscean kind of paradox. Leo is the sign of self-expression, glory and leadership. Leo bestows creativity in the biggest sense, that of creating the world and holding it in alignment. But the 6th house is the house of servants, service and participation in the most basic ways. The disadvantage is the sense that all your glory gets lost in the sauce of washing pots, cleaning toilets, doing the filing and tending to the sick — traditional activities of the 6th. The advantage is that you have the capacity, an incredible capacity, to do what must be done. You can do so with astonishing energy, stability and relentlessness. The 6th house is actually an excellent place to stash Leo, because it puts that energy to good use, and if one is going to feel glorious, applying energy to the basics of life is a good way to do it. The 6th also bestows healing power and vitality, for good or ill: Leo there is a strong sign from which to be drawing these kinds of strength. Nobody can say you don’t earn what you have. But you can claim that, though the shadow form of that is the feeling of not having what you deserve. Once again, you get to decide, though if you want to be free, decide you must. Aries is in your 2nd solar house, so it represents your personal resources, from cash to your talents, from what you use to make your living to all that you consider your personal property. Because Aries is here, you are your most important asset. You might say this is true for everyone, but I don’t think it is; there are many ways to tap into energy, and for you, it’s directly through your self-awareness and the ongoing process of weaving your relationship into everything larger than you. But for reasons relating to Pisces, not to Aries, this can be unusually challenging for you. So, Pisces bestows a kind of selflessness; Aries compensates for it mightily, unless there is some unaddressed damage or beliefs so dysfunctional you cannot get through the day. You may feel that it’s not in your nature to be competitive. You may feel like leadership is too much responsibility. You feel you’re too sensitive to handle too much responsibility. None of this is true, unless you make it true, which would be akin to making it up. Though you’re a Pisces, your chart has fire in all the handy places: Aries in your 2nd house (self-esteem and resources), Leo in your 6th house (work and wellbeing) and Sagittarius in your 10th house (reputation, profession, leadership). The action aspects of your chart involve making contact with the energy of fire. That is different than the energy of water — as different as it gets. So part of your challenge is about maintaining the awareness of both passion and sensitivity, sustained in the long run. This will require you to know your own points of conflict, immaturity and most of all, the famous sense that Pisces is a victim. Before you dismiss the possibility that you are a victim, you might want to determine just what you think you’re a victim of. Then you can apply logic and test your theory and figure out how to get yourself to a better place. As a Pisces, you are used to adapting to the world. This is not to say that you lack influence; you have more than you think. But what you are not as accustomed to is the world adapting to you and your desires, needs and intentions. Generally, you are the one who does very nearly all the adapting in life. There is something distinct about Pisces and self-esteem; let’s call it an issue. (I rarely use that word in my astrology practice.) Anyone who knows even just one Pisces native can tell you this. I would not say that Pisces lacks self-esteem: rather I would say that for many, the concept does not exist tangibly. It must be defined and discovered and developed consciously. Remember this: you cannot understand that you lack something that you don’t fully grasp; the issue would not be the lack, it would be your understanding and use of a concept. The hardest thing for you as a Pisces is to maintain faith in yourself. Pisces is the Omega point of the zodiac: the last sign. It is more often said that the unfinished business of the past collects in the sign of the Fishes than it is said that all the underutilized wisdom of the past makes its home here. But one cannot be true without the other. Everything ends up in the sea — everything. But the sea has a way of purifying itself, of regenerating, and of nourishing all life in the process. Furthermore, karma — all that stuff from lifetimes of history — has a good use. Trees do not usually grow in the desert. They more often grow in soil that has been enriched by centuries of life composting over and over in an endless cycle. Pisces not only carries all the collective baggage of the human race; we carry all the potential; and we often live as if we’ve seen it all. That is a reminder to not be jaded or cynical and to remember that there is new potential in every moment of existence. In a sense you are like the counselor who has worked at the same summer camp for five years, and who must make it fun for every new group of campers. The image of Pisces is those two fish, attached and swimming in opposite directions. Some look right at that and see yin-yang. I’ve spent a lot of time taking care of fish, and there are two sides to their nature that must be honored — and yours as well. One is that within definite limits, the environment must be stable. The water temperature and acidity, for example, cannot go too far in either direction and must stay within an ideal range. The bacteria that keep the water clean take a long time to build up; it’s best to disturb the gravel or rocks at the bottom only minimally (for example vacuum it only lightly and never flush it out). The same is true of certain processes of your life. But the water must flow. About half to a third must be changed on a regular basis, or the toxins (principally ammonia and nitrogen compounds) build up quickly. And as much as fish like familiarity, they need a change of scenery. New critters added to the tank on a gradual basis, moving around the coral and decorations, and making sure the lights are turned off at night are essential to happy fish. The usual Pisces trait of trying to convince yourself of things. Then there is the fishy bit about using denial as a psychological escape hatch; and of debating with yourself whether there is such a thing as the truth. 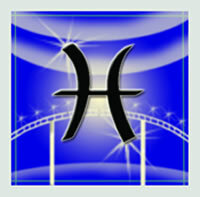 It’s worth mentioning that Pisces is the sign associated with illusion, theater, film, art and music. Other signs speak of the creative aspects in different manifestations; Pisces speaks to the waving of illusion, and a gift for doing this both artfully and with integrity. Amazing and intriguing and real – so rich, and so richly described. Absolutely wonderful. Thank you! Really inspiring and very clear and concise regarding the action element, always tricky for Pisceans because they get “action in inaction” thing, but that’s also a veil for a lack of assertiveness or putting themselves (me) forward in the world and hiding their light. The tarot reading was amazing, yes! 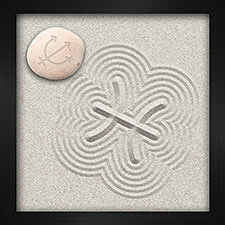 Desiring and resisting change in the same breath, yet change is happening and is here. I still have internal questions about relationships so the section on Jupiter in Virgo gives me a lot of guidance for exploring these. I feel inspired and thrilled by the potential of this current astrology and thank you sincerely for making it accessible, You rock! And to add – this reading is worth its cyber-weight in gold, in platinum – really, its value is incalculable. Shakespeare described a love “whose worth’s unknown, although his height be taken” and I feel this applies – you can count the words and minutes of this material, but the worth is beyond beyond. So much to absorb and so many jump-off points for personal exploration and discovery. Thanks so much!